Lakeside and slopeside, most of the Lutsen MN restaurants are at lodges, resorts and Lutsen Mountains. While the options include fine dining, pubs, grilles, and chalets, the atmosphere is northwoods casual. Sample local fare, regional beers and handmade desserts, too. A full casual menu and plenty of “spirits” to drink. Watch your favorite sporting events. The Pub opens weekdays at 4pm and 11:30am on weekends and holidays. A children’s menu is available. Stunning Scandinavian architecture and a large stone fireplace accent relaxed fine dining in a lakeside setting. Traditional and contemporary American cuisine as well as Scandinavian specialties. Homemade breads and desserts. Sunday breakfast buffet. Breakfast, lunch and dinners. Dinner reservations are recommended. The dining room underwent a complete renovation in December of 2018. This included new flooring, walls, tables, chairs, lighting and more, all while maintaining the historic integrity of the Lutsen Resort dining room. With the recent renovation, we added a 16-bottle wine dispensing station as well as a 1200-bottle enclosed temperature-controlled wine cellar. The Strand Waterfront Dining Room now carries nearly 200 different bottles of wine. We have 20 wines from the Wine Spectator Top 100 list, including #1. 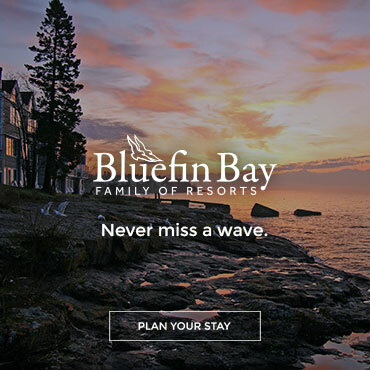 Take in spectacular views of Lake Superior, the Sawtooth Mountains and the Poplar River Valley over one of our unique Northwoods-inspired entrees. Dine outdoors in one of three mountain-view decks. 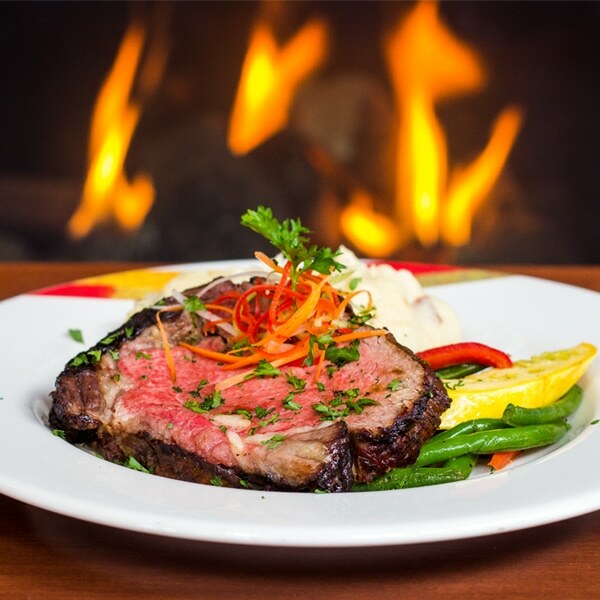 Our combination of quality food and a casual atmosphere always promises to make Papa Charlie’s the perfect dining experience during your stay on the North Shore. And the saloon features the best live music on the shore! Distinctive North Shore decor: a large stone fireplace, wagon wheel chandeliers, mounted fish and animal trophies, and a great view of Lake Superior. Our menu consists of a wide variety of breakfast options, soups, salads and sandwiches, and several steak, poultry, fish and pasta dinner selections. 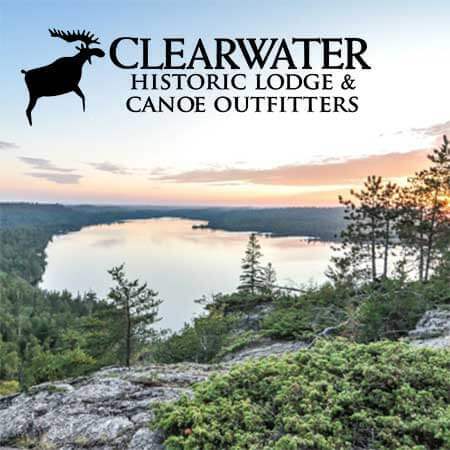 Consistently voted “Best” on the entire North Shore in a number of categories by the readers of North Shore Highway 61 magazine! 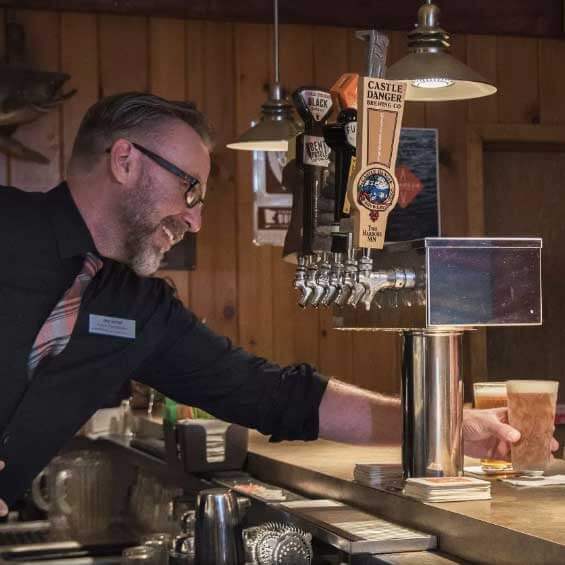 Cascade Pub adds full beer, wine, and liquor service as well as weekend entertainment in a casual, “Northwoods Neighborhood” atmosphere, it’s a welcome addition and a favorite of guests and locals alike. Take the Mountain Tram to the summit of Moose Mountain Summit Chalet. The chalet serves delicious wraps, sandwiches & burgers, ice cream and more. 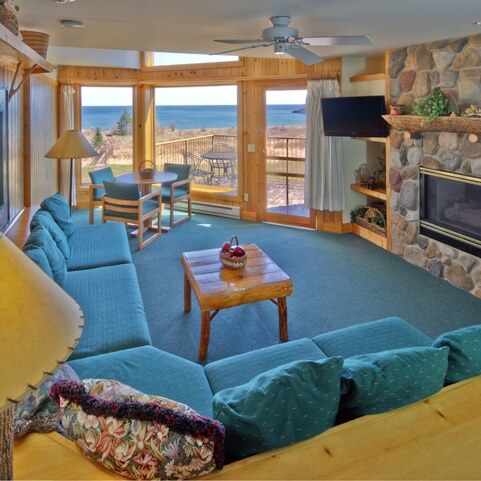 Enjoy a meal or a snack inside the Northwoods chalet or on the deck overlooking Lake Superior (this location boasts 100-mile views of the lake!). 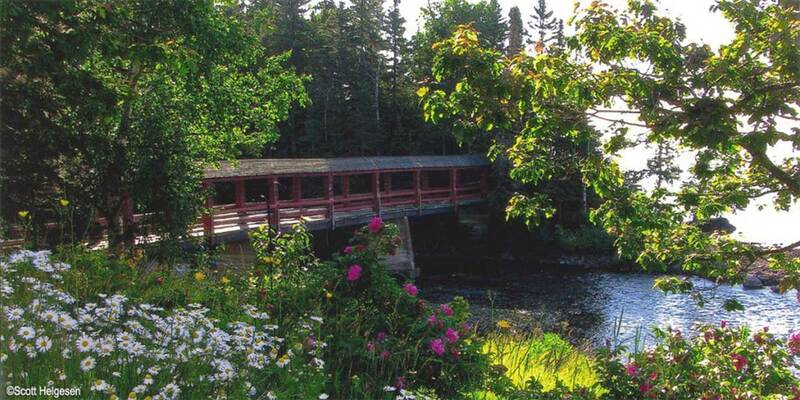 Take the short walk out to the Mystery Mountain Overlook for panoramic views of the Superior National Forest. Gondola ticket required to get to the Summit Chalet. The perfect place to meet up with friends, relax, enjoy great food and have a cold one. A fun couples café, but equally comfortable for family dining. 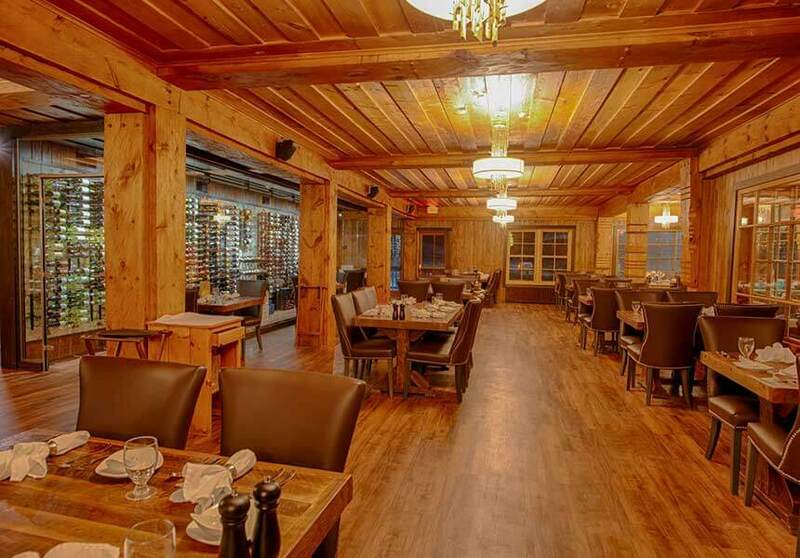 Slope-side, ski-in-ski-out restaurant and tap room has magnificent mountain views, and is the perfect location to start you, to re-group at the end of your day and watch the sun set behind the mountain while you share your stories. Moguls offers an eclectic atmosphere, well suited for any social gathering. From our home on the shores of beautiful Lake Superior, we roast small batches of sustainable coffee beans with the goal of bringing you the best coffee from around the globe. The concept of fika (a Swedish word meaning coffee break) permeates everything we do. A fika is a moment of quiet indulgence in an otherwise hectic day, a time to gather with good friends for great conversation, a sweet treat, and a hot cup of coffee. This concept shapes everything from how we roast our beans to how we connect with customers. A little grocery store and bakery, this place has a small cafe with windows looking out the back, where you can watch the deer that hang around. Delicious pies with a flaky crust, homemade pasties, sandwiches, soup and breakfast menu.